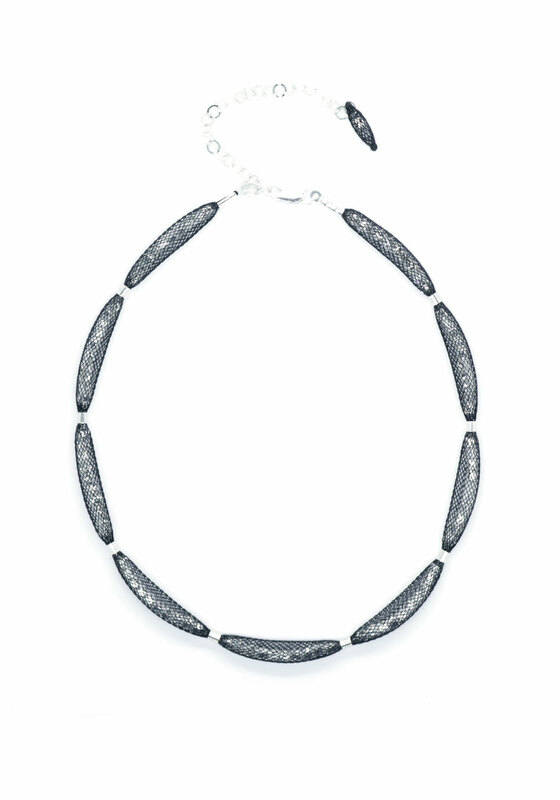 Sparkle with elegance with this glittering necklace from Blaithin Ennis. This necklace is designed with silver plated Czech crystals that sparkle from inside its black mesh coating for a unique glamorous style. This handcrafted piece can be teamed with matching bracelet and earrings from the Topaz collection.